Wondering how to grill salmon? 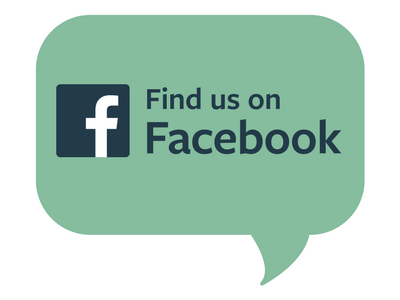 We’ve got the details! 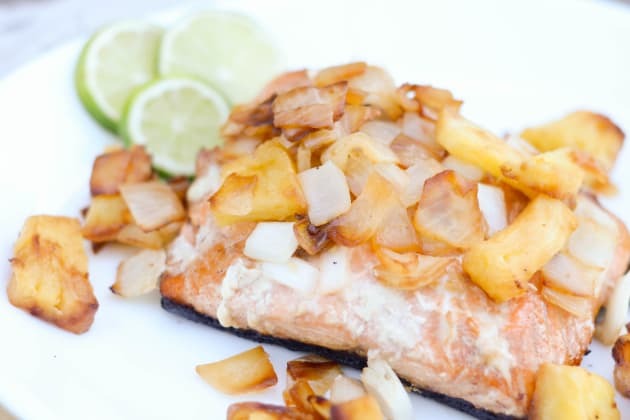 There are so many ways to prepare salmon, and grilling it is a great option that adds delicious flavor. You can do this outside on your grill or indoors on a grill pan. You can grill salmon fillets, a whole salmon or even salmon kabobs. Store leftovers covered in the refrigerator for up to three days. Let’s get to the details! Before cooking, rinse the salmon and pat it dry. Rub your thumbs along the fish to feel for any bones to remove. If you find any, you can remove them with tweezers or your fingers. Marinating salmon before grilling it will add even more flavor. 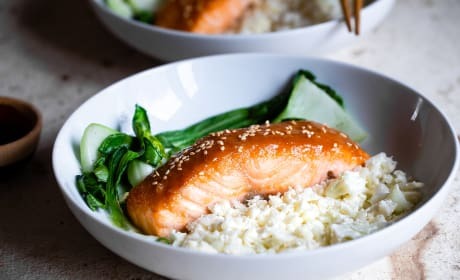 You can make a marinade with Dijon mustard, soy sauce, olive oil and garlic, as in Barefoot Contessa’s Asian Salmon recipe. Marinate your salmon for 10-30 minutes. Afterward, be sure to discard the marinade used for the raw fish. It’s a good idea to make enough marinade so you can use half for marinating the fish and reserve the rest for spooning over the grilled fish when it’s done. A great way to make grilled salmon is to wrap the fish in foil first to prevent it from sticking to the grill. Heat the grill to medium high and place the wrapped salmon on the rack. Grill each side for 10-15 minutes, until done. 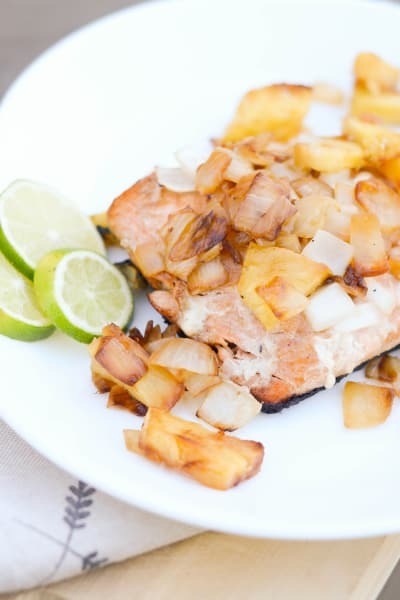 Grilling salmon on soaked cedar planks provides a delicious and wonderful smoked flavor. You can purchase a cedar plank at the grocery store in the BBQ section, but be sure to buy one designated for the grill. You’ll need to soak the plank for at least two hours before using it. You can soak the plank in the kitchen sink, using a mixture of half water and half apple cider vinegar or wine. To make salmon kabobs, cut the fish into 1 1/2-inch pieces, leaving the skin on. Sprinkle on seasonings. Insert the skewers through the side of the fish instead of piercing the skin. It's best to use two skewers, side by side, for more stability. 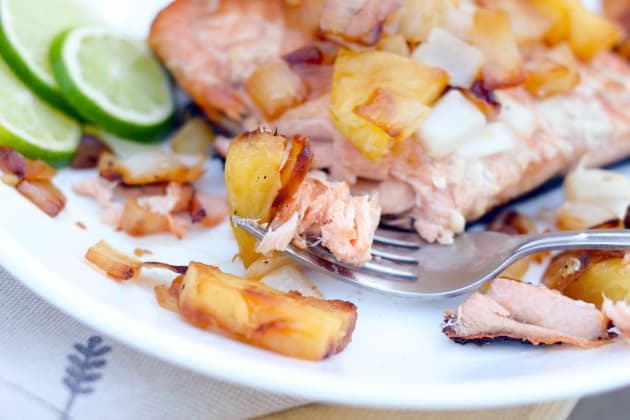 You can alternate pieces of salmon with fruit such as pineapple slices. Grill the kabobs skin-side down over medium-high heat for 3-4 minutes on the first side. Flip the kabobs, brush them with glaze, and grill them for another 2-3 minutes before flipping again. They're done when juices begin to come to the surface of the fish and turn white. 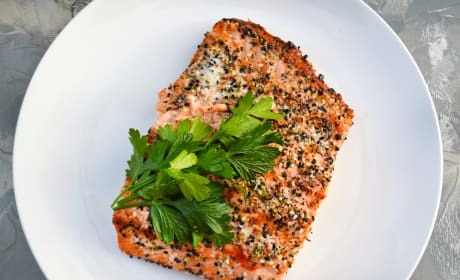 Salmon is done when it flakes easily with a fork and is opaque inside. The internal temperature should be 145 degrees F, if you’re checking it with an instant-read thermometer. Can You Grill Salmon with Skin? 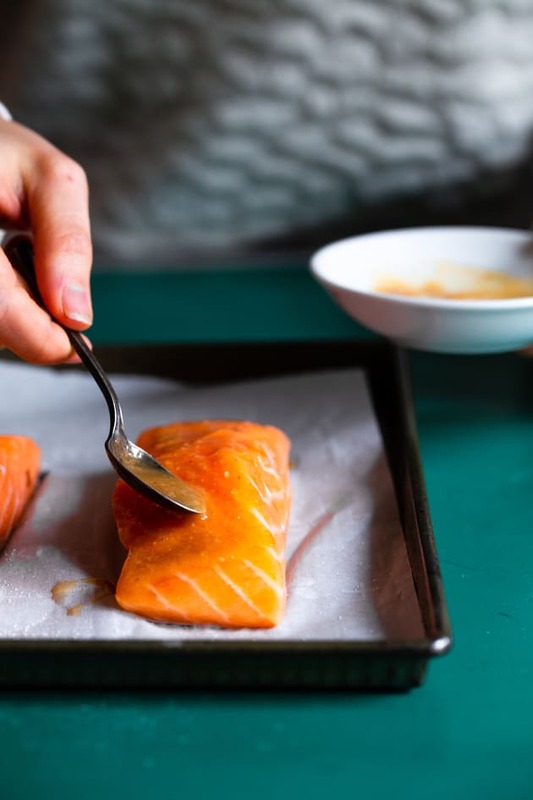 If you have salmon with skin, you don’t need to wrap the fish in foil. Grill the salmon skin-side down. You can let the fish cook all the way like that or flip it over after about five minutes. Do You Need to Flip the Salmon? Some recipes call for flipping the salmon during grilling, and others don’t. If you’re not following a recipe, you may find it easier not to flip the salmon. Make sure to start with a clean grill. You don’t want any particles from previous grilling sessions remaining. Next, properly heat the grill to help prevent salmon from sticking too much. Heat the grill to medium high. You can wrap the salmon in foil before grilling it to help prevent sticking. Otherwise, leave the unwrapped salmon on the grill for at least three minutes before trying to move it. When it’s time to flip the salmon, use a long, slotted metal spatula. 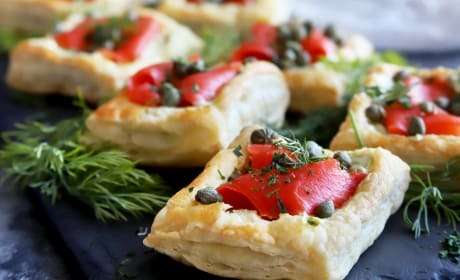 Smoked Salmon Avocado Cream Cheese Pastries will seriously impress at your next gathering. Homemade avocado cream cheese combined with smoked salmon, fresh herbs, and capers makes for the ideal appetizer any time of day! 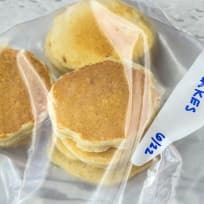 They are ideal for Easter, Mother’s Day brunch, and everything in between. 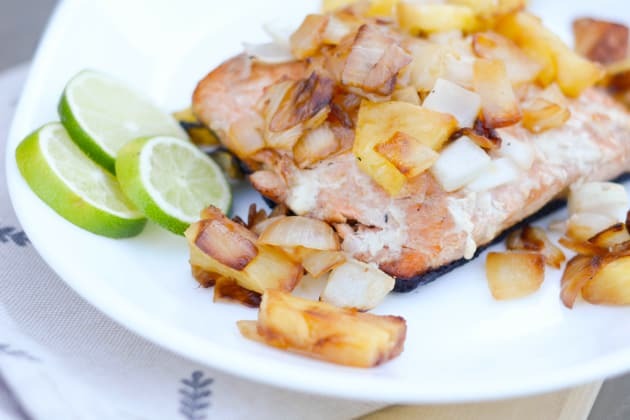 Miso Glazed Salmon is an easy dinner for you to make tonight. That sauce is so dang good! It takes only two ingredients to make this delicious Roasted Salmon with Everything Bagel Spice. 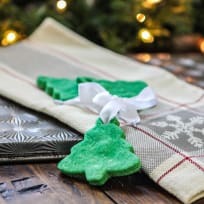 No long grocery shopping lists and just 30 minutes until dinner is on the table! 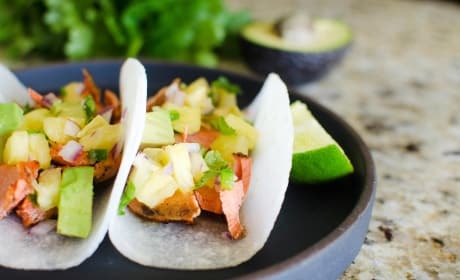 Paleo Salmon Tacos with Pineapple Salsa are a light and fresh way to get your taco on this summer without sacrificing anything you love. Just check out those jicama tortillas! A Smoked Salmon Avocado Cream Cheese Bagel is a new way to do breakfast or brunch. 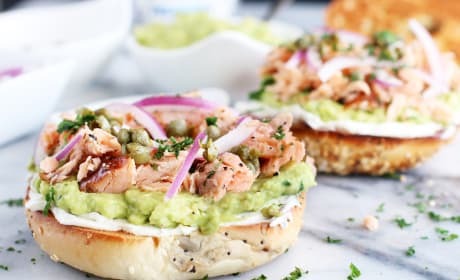 Instead of the default lox and bagel routine, switch to flavorful smoked salmon paired with creamy avocado, rich cream cheese, red onion and capers. It’s a twist on the traditional pairing that will start your day off the right way! 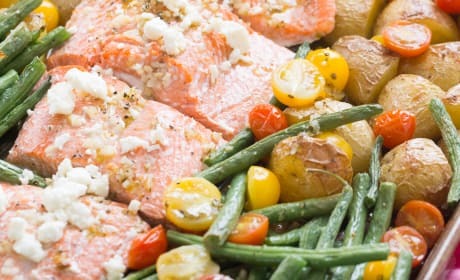 This Mediterranean Salmon Sheet Pan Dinner features a seasoned and flaky fish baked with fork-tender vegetables. 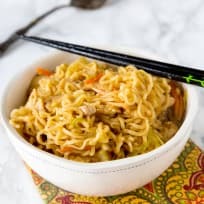 This like meal is healthy and lean, but so delicious! 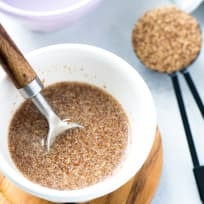 It's hard to believe that something so simple can have so much flavor!